This Sexton was built in Canada in the early months of 1943. 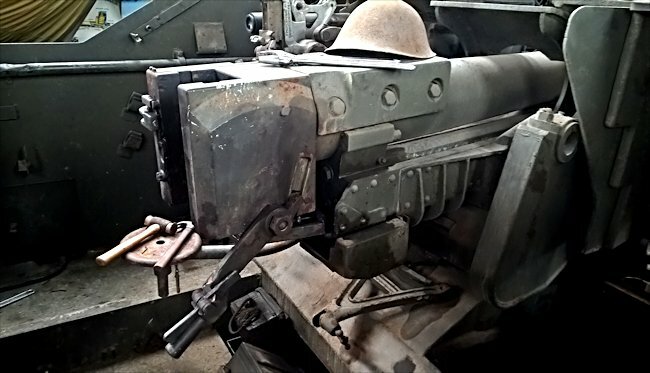 It never saw active service in WW2. It was sent to Portugal under contract, to strengthen the Portuguese Army. 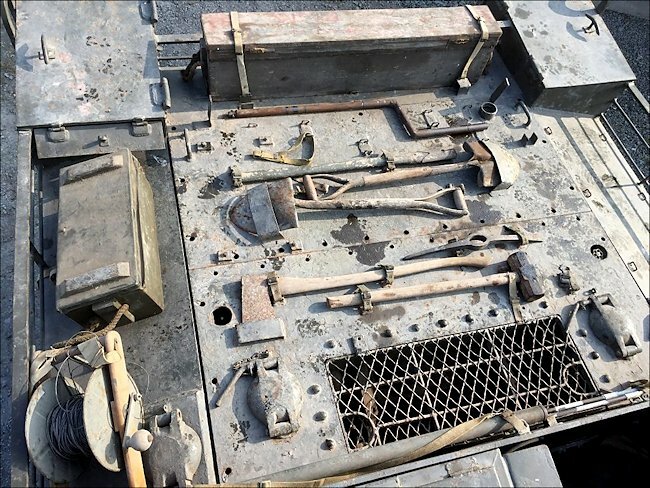 British big military vehicle dealer Ian McGregor went to Portugal in the 1980s and purchased a number of obsolete vehicles and bought them to the UK. 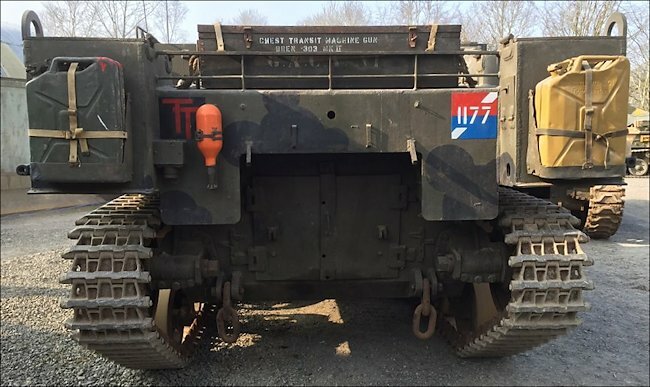 This WW2 period Sexton was one of those vehicles. 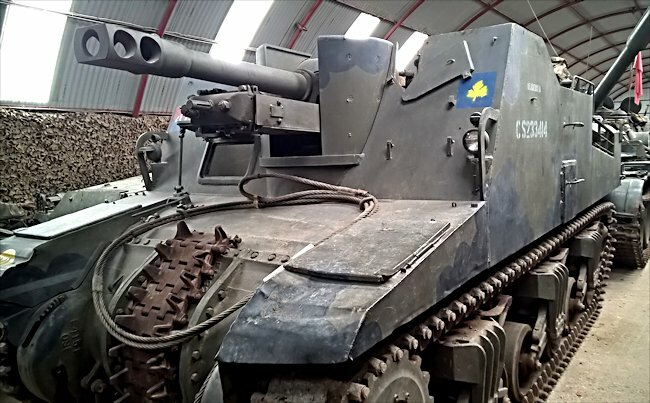 Although it is known as the Sexton its official Army designation was 25 Pdr Self Propelled, Tracked. 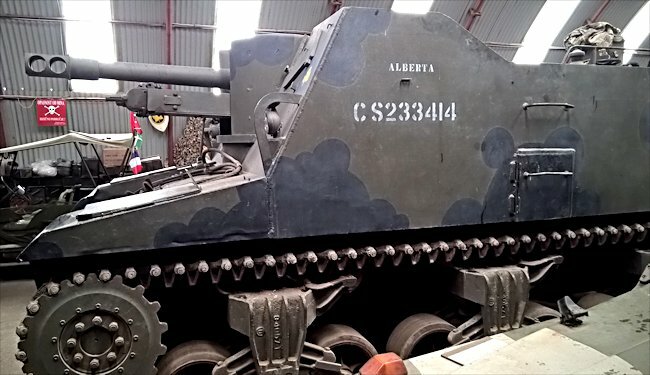 A Grizzly tank chassis (Canadian-built Sherman M4A1 tank) was used to mount the 25 pounder artillery howitzer on the top and enclose it in an open topped armoured fighting compartment. The Canadian Ram tank (based on the American M3 Grant/Lee tank) was used for the early Sexton Mark I SPGs. You can visually identify which version of Sexton you are looking at by counting the spokes on the front wheel track sprocket. If it has 13 spokes it is a Sexton Mark I. If it has 17 spokes like this Sexton it is a Sexton Mark II. The combat weight of a Sexton fully loaded with 112 shells and fuel was around 25 tons. It required a 6 man crew: Commander, Driver, Co-driver and three gunners. The air cooled Continental R-975 9 cylinder radial petrol engine produced 400hp that gave the Sexton a top road speed of 25mph (40km/h) and only 3/4 mpg. These aircraft style radial engines were prone to hydraulic lock when they had been left standing for a long period. Oil or petrol would run down into the bottom cylinder and when an attempt was made to start the engine the piston would hit the un-compressed liquid resulting in a broken crankshaft. 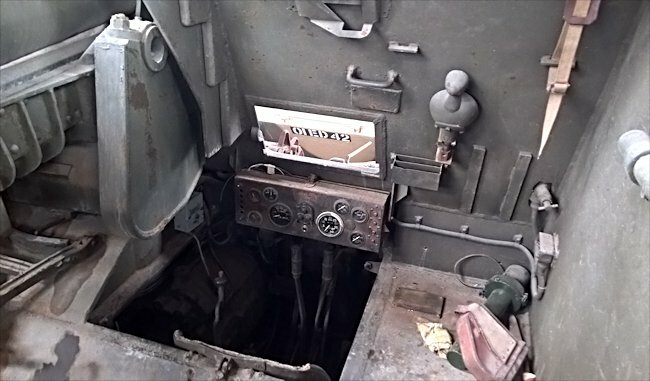 The solution was to turn the engine over by hand first and if a lock occurred the plugs had to be removed from the bottom cylinder to drain off the liquid. Preston Isaac of Cobbaton Combat Collection purchased the sexton with two engines. One had a broken crankshaft and the other had various ailments. Eventually one working engine was rebuilt from the two defective engines. That engine became damaged because of lack of use and Preston managed to buy three more engines. 'Each troop, a sub section of a regiment, was assigned four sextons. I hardly ever knew what we were firing at. Targets came by the dozen, and we responded quickly and efficiently. If only we had been given a little more information about the targets we were engaging, it would have given us a greater measure of encouragement, particularly when the gunners were dog- tired — and even more so when some indication would have been welcome on the success or otherwise of our shooting. 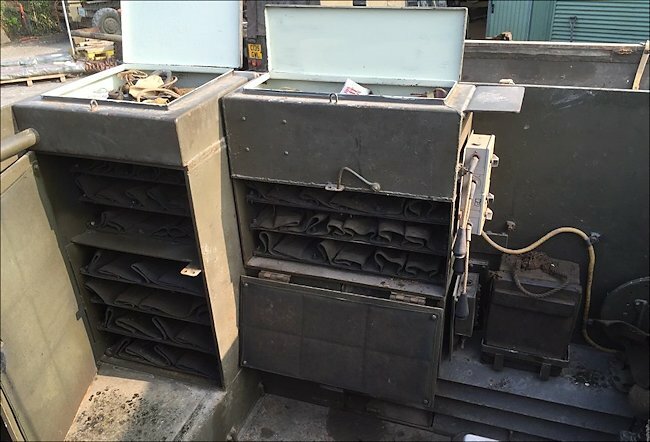 Sexton SPG Ammo storage lockers, One would be for the HE high explosive shell and the other would hold the charge cartridges. 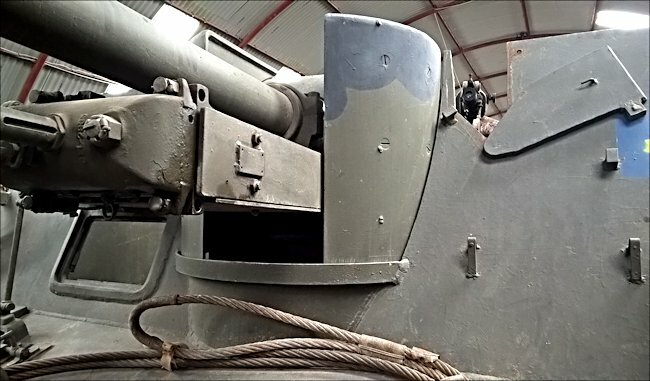 The side black hatch on this Sexton MkII SPG was used when loading shells into the vehicle.